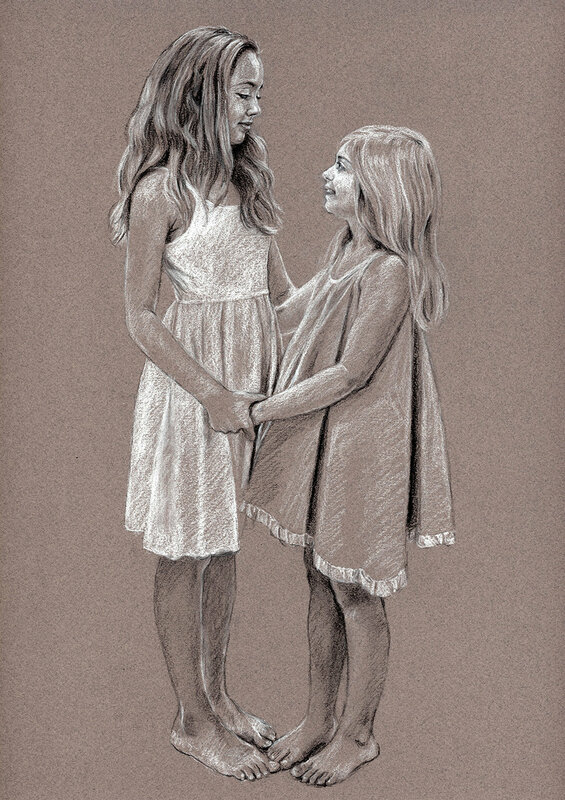 A prominent local executive was looking for someone to sculpt his daughters in bronze as a gift for his wife. Thanks to all the press and internet interest in "A Statue of Nikola Tesla in the Silicon Valley" I was easy to find. 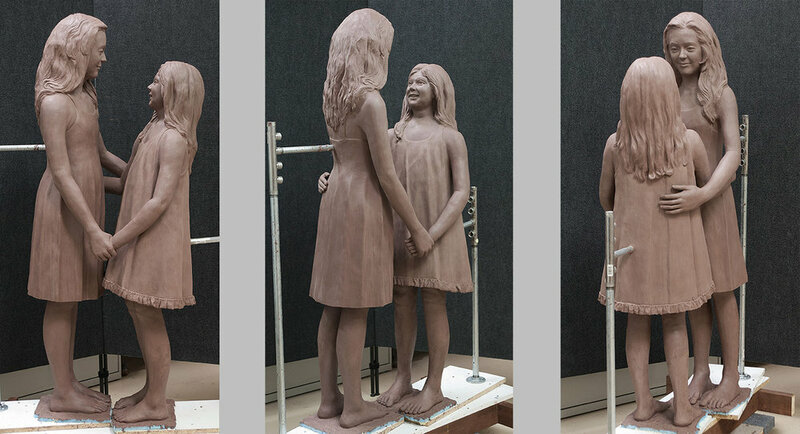 Although it was a demanding schedule to meet, we work out details and striking likeness of the young ladies was captured in bronze and kept secret from their Mother until the reveal date. The clay artwork from 3 different angles. Four angles of Two Sisters bronze after receiving the final patina.